“Rosenwald” (2015). Interview Footage: Maya Angelou, Julian Bond, Ossie Davis, Peter Ascoli, Benjamin Jealous, Rep. John Lewis, Rep. Danny Davis, Timuel Black, Rita Dove, Lester Mae Hill, Clarence Page, Gordon Parks, Cokie Roberts, Eugene Robinson, Alice Rosenwald, Elizabeth Rosenwald Varet, Tanya Bowers. Archive Footage: Julius Rosenwald, Eleanor Roosevelt, Booker T. Washington. Director: Aviva Kempner. 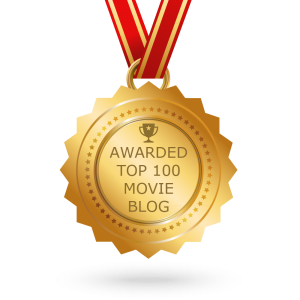 Screenplay: Aviva Kempner. Web site. Trailer. “Steve Jobs: The Man in the Machine” (2015). Interview Footage: Chrisann Brennan, Nolan Bushnell, Kōbun Chino Otogawa, Regis McKenna, Jason Chen. Archive Footage: Steve Jobs, Steve Wozniak, John Sculley. Director: Alex Gibney. Screenplay: Alex Gibney. Web site. Trailer. Opening and running a business is one of the most creative acts we can undertake. Generating wealth from the venture is undoubtedly one of the hoped-for outcomes, but other creative objectives – like producing goods and services that customers find useful and enjoyable – are just as important. Perhaps most significantly, though, the launching of these operations represents something of who we are, including our personal values and how we make use of the fruits of our labors. Such questions can be handled in a variety of ways, and two new documentaries, “Rosenwald” and “Steve Jobs: The Man in the Machine,” do just that. “Rosenwald” tells the story of Julius (“J.R.”) Rosenwald (1862-1932), the son of a simple Jewish merchant who rose from humble beginnings in Springfield, Illinois to become president of Sears Roebuck & Co. By introducing commercial, marketing and operational innovations to the company, Rosenwald built Sears into the largest mail order and retail business of its day, essentially a 20th Century version of Amazon.com. He became phenomenally wealthy as a result. But Rosenwald was not one to sit on his personal fortune. As a firm believer in the Jewish ideals of tzedakah (charity) and tikkun olam (repairing the world), J.R. felt obligated to give back some of what he had amassed. He had plenty of inspiration to drive his efforts in these areas, too. Having grown up in Springfield, he and his family were neighbors of President Abraham Lincoln (1809-1865), and, years later, after relocating to Chicago, he became a devoted follower of noted Rabbi Emil Hirsch (1851-1923). Thanks to these influences, Rosenwald decided to put a sizable portion of his wealth to good use. As a member of an often-persecuted group, Rosenwald could relate to the trials and tribulations of his peers. To that end, he provided assistance to Jews fleeing the pogroms of early 20th Century Europe. But his efforts didn’t stop there. Inspired by the works of inventor and educator Booker T. Washington (1856-1915), J.R. took a strong interest in the plight of African-Americans, especially in the Southern U.S. Rosenwald saw them as another downtrodden segment of society, one in need of help – and one to which he provided significant aid. Sears Roebuck president Julius (“J.R.”) Rosenwald (left) meets with one of the inspirations of his philanthropic efforts, educator and inventor Booker T. Washington (right), at Alabama’s Tuskegee Institute in 1915, as depicted in director Aviva Kempner’s new documentary, “Rosenwald.” Photo courtesy of Special Collections Research Center, University of Chicago Library. 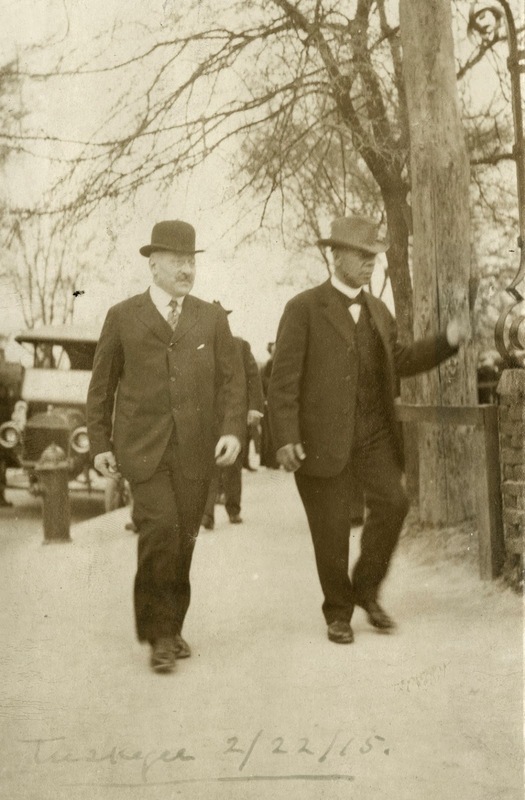 Rosenwald’s contributions to the African-American community were impressive, to say the least. Believing, as Booker T. Washington did, that education was crucial to the advancement of poor Blacks, J.R. provided significant funding for building schools in the South, mostly in rural areas. These “Rosenwald schools,” as they came to be known, offered a good education to those who otherwise might not have received one. In all, Rosenwald funded the construction of nearly 5,400 such schools, some of which had to be rebuilt when destroyed by segregationists seeking to keep Southern Blacks from getting an education, a prospect they deemed “dangerous” (and the biggest obstacle Rosenwald and like-minded followers had to overcome). Rosenwald’s efforts did not stop there, however. He also helped fund the construction of YMCA and YWCA facilities in African-American neighborhoods in the North, providing a place to stay for those migrating from the South in search of jobs and better lives. Then, in 1917, he chartered the Rosenwald Fund, a philanthropic organization aimed at furthering “the well-being of mankind.” While the school building program was its largest undertaking, the Fund also provided grants to a number of African-American artists and activists, including James Baldwin, Ralph Ellison, Gordon Parks, Langston Hughes and W.E.B. DuBois. It also helped establish the Tuskegee Airmen, the African-American air corps that fought during World War II. Rosenwald’s efforts had quite an impact. In addition to turning around the fates of thousands who likely would not have benefitted otherwise, he helped lay the foundation for the American Civil Rights movement. As a charter member of the NAACP, he helped raise public awareness of the need for equal rights, an initiative that has carried forward to the present day, decades after his death. 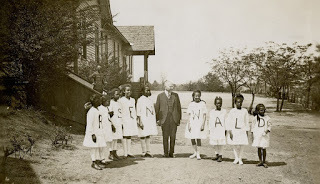 Sears Roebuck president Julius (“J.R.”) Rosenwald (center) greets children at one of the many schools he built for poor African-Americans in the South, a story chronicled in the informative new documentary, “Rosenwald.” Photo courtesy of Fisk University, John Hope and Aurelia E. Franklin Library, Special Collections. 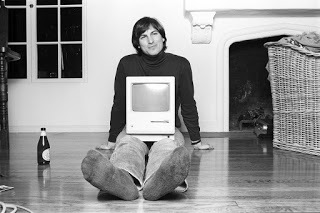 In contrast to Rosenwald’s experience, Steve Jobs (1955-2011), co-founder of Apple Computers, took a very different path, as seen in “Steve Jobs: The Man in the Machine.” Having developed an affinity for computers at an early age, he and friend Steve Wozniak built their first device in the Jobs family garage in Los Altos, California. It would help to launch a technological revolution that essentially gave birth to the personal computer industry. 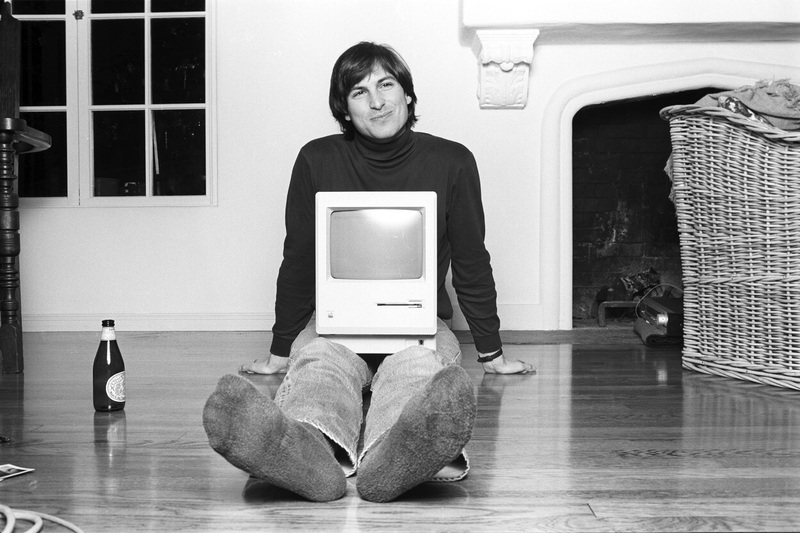 Jobs was driven to see his dream realized, to see it “change the world,” as he often put it. In part, this pursuit was an outgrowth of his study of Zen Buddhism, through which he sought to discover the nature of his destiny. 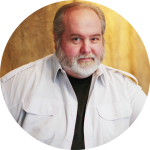 With his business goals set, he then sought to recruit a variety of like-minded computing wizards to assist him, becoming a sort of charismatic high-tech guru. Jobs placed many demands on his team as they worked tirelessly in the pursuit of their objectives. But, as a consequence, he often found himself becoming disconnected from others. This led to strains in his working relationships and his personal involvements, including with his high school girlfriend, Chrisann Brennan, with whom he had a daughter, Lisa. Even though Jobs would become eminently successful in his professional life, he was often isolated. Though his co-workers admired his vision and ambitions, they frequently became burned out, leaving the company after their jobs took a toll on them personally. He also had virtually no relationship with Chrisann and Lisa, who ended up on welfare at a time when Jobs was worth a fortune. Apple Computers co-founder Steve Jobs provides the focus for the insightful new documentary “Steve Jobs: The Man in the Machine.” Photo courtesy of Magnolia Pictures. An internal struggle at Apple led to Jobs’ departure from the company in 1985. But, with the organization in trouble, he returned in 1997 to help turn it around. His many innovations, especially the development of such mobile devices as the iPod, the iPhone and the iPad, helped Apple become a financial behemoth. Fans of the company’s products came to follow the organization with an almost-religious fervor. And, with Jobs’ passing in 2011, his death was treated with the sanctity accorded a saint. However, the years before Jobs died were quietly troubled, despite the squeaky clean public image carefully crafted by Apple’s handlers. The hip, cool, countercultural persona that Jobs had fostered for himself and his company successfully concealed an organization rife with pettiness, threats of retribution, questionable compensation and tax practices, unsafe working conditions for manufacturing employees, and a host of other issues.  But, thanks to the company’s undeniably phenomenal sales, its deft public relations efforts, and the zealous, protective defenses of its devoted followers, most of these issues were quietly buried or downplayed. Still, despite the largely successful deflection of these potential public perception nightmares, one can’t help but ask, are these the values of a company truly intent on changing the world (and, if so, changing the world in what way?) Indeed, can Jobs’ efforts be realistically compared to someone civically minded like Rosenwald? How can two entrepreneurs with such grand visions attain such wildly divergent results? In the end, it all comes down to beliefs. Apple Computers co-founder Steve Jobs poses with one of his many technological creations in director Alex Gibney’s engaging new documentary, “Steve Jobs: The Man in the Machine.” Photo courtesy of Magnolia Pictures. When we set out to create anything, be it a business, a relationship or a piece of art, everything begins with our beliefs, the cornerstone of the conscious creation process, the means by which we manifest our reality. Based on the experiences of Rosenwald and Jobs, it’s obvious they were both masters at formulating intents aimed at concocting grand creations. But what, exactly, were the nature of those beliefs? In large part, they stemmed from the intents that each held on a core level, their fundamental foundational views of the world, perspectives that shaped not only what they did in business, but also what they did in their lives overall. Rosenwald, for example, was a devotee of the aforementioned concepts of tzedakah and tikkun olam. They were reflected in the way he conducted his personal life, as well as in his business and philanthropic affairs. By building Sears into a retail powerhouse, he amassed the funds necessary to carry out his charitable work, and his beliefs ultimately made it all possible. When it came to changing the world, he truly lived his dream. Jobs also wanted to change the world, and he said so repeatedly. And, in many ways, he did, with his technological innovations significantly reshaping the way we relate to our world. But were these changes necessarily for the better? While a good case can be made for the benefits of having access to the Internet in the palm of one’s hand, the obsessive ways in which many use these devices have had the opposite effect of what Jobs claimed he was intending to create. Instead of generating a greater sense of connection, his devices have led to a growing sense of isolation, with many people today feeling more tuned in to their smart phones than to one another. This truly changed the world, but is it an improvement over what preceded it? This, of course, begs the question, can we hold Jobs responsible for this? Indeed, doesn’t this say something more about us than him? Perhaps. But, given Jobs’ personal disconnection from the world, is it any surprise that he created a technology reflecting those very circumstances? The beliefs he used to manifest his reality thus became directly imbued in the products he created. The “unintended” side effects of Jobs’ devices illustrate the principle of un-conscious creation at work, the notion whereby we seek to manifest our objectives without due consideration of the consequences. This is in stark contrast to Rosenwald’s efforts, which obviously clearly addressed the intended goal and its attendant outcomes. The differences in their approaches thus provide would-be entrepreneurs with a clear choice of how they might want to conduct their affairs. The key question, of course, is, what should one choose? The differences in the beliefs of Rosenwald and Jobs are apparent in other ways, too. For instance, J.R. believed that his wealth was supposed to be put to useful purposes, as his many philanthropic undertakings indicate. 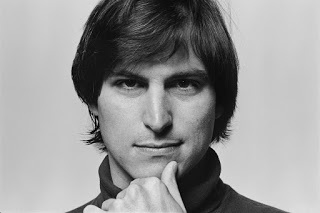 Jobs, however, maintained that he could do more for the world by creating useful products than by donating to charity. In fact, Apple’s philanthropic efforts did not receive much attention until Jobs’ successor, Tim Cook, took over after his death. This is odd, too, given that Jobs allegedly had little interest in amassing money for its own sake. So what was the motive behind this visionary hoarding such a fortune? Given Jobs’ lack of personal connection to others and his vast reserves of undistributed resources, his hesitancy to be more generous publicly could be seen as yet another permutation of his beliefs related to being out of touch with the world. If it sounds like this is vilifying Jobs and anointing Rosenwald for sainthood, that’s not the intent. When it comes to conscious creation, all probabilities are viable options for exploration, and the central characters in these stories each undertook their own ventures in their own ways with their own sets of beliefs. However, as noted above, the examples set by these two businessmen illustrate the kinds of choices that other would-be entrepreneurs face in setting up their own operations. And, again, the question is, what should one choose? It’s also interesting to consider the notoriety and affection afforded Jobs and the virtual obscurity associated with Rosenwald. It forces us to ask ourselves, who do we admire and why? Indeed, what does it say about the values that we as a society consider laudable? We should think about that when we look at whom we label as our role models. Is it proper to virtually ignore someone who assists a huge segment of society while canonizing somebody who makes phones? These films bring these questions into sharp focus, nudging us to take a hard look not only at their subjects, but also at ourselves. “Rosenwald” provides an informative look at an unlikely (and largely unsung) American hero. Despite some pacing issues in the first 30 and the last 20 minutes, the film generally tells its story well and in tremendous depth. The picture includes a wealth of great archive footage and engaging recent interviews with artists, journalists and historians, including recently deceased author Maya Angelou and activist Julian Bond. Most of all, though, the picture shows what miraculous results are possible when we make the effort to become involved and make a difference. As for “Steve Jobs: The Man in the Machine,” the film presents a rather damning indictment of its protagonist, one that’s almost certain to draw the ire of his followers but that nevertheless sheds significant light on some largely unaddressed topics. Through interviews with former Apple employees, members of the press and people who knew Jobs personally, the picture paints a very different portrait from what most viewers probably know. The narrative admittedly meanders a bit in the first 45 minutes, but, once the film settles down, it presents an insightful look at the man, his products, what he did to create them and the fallout that has come in their wake. It makes us think about where we place our loyalties – and whether they rightfully belong there. It’s been said that, with great power comes great responsibility, and those who wield it had better have a good handle on how they do so. Those who are successful in business would be wise to heed such advice, for they have the potential to impact the lives of others in myriad ways. The examples set by Julius Rosenwald and Steve Jobs provide some clear-cut insights into how to proceed – and what not to do. Let us hope that today’s budding entrepreneurs make the right choices.